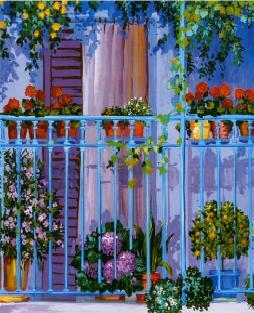 Balcony gardens are common in places where many people live in apartments or condominiums. 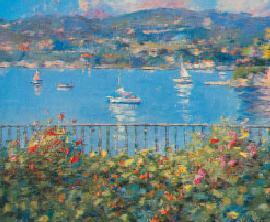 Italy is just such a place. 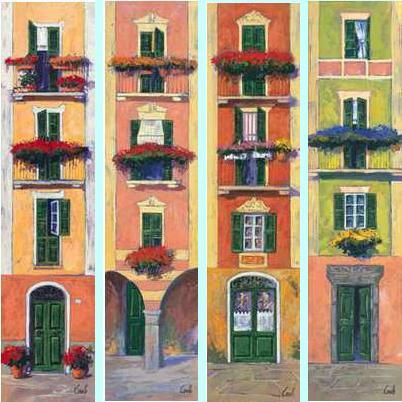 Throughout Italy, you can see colorful, vibrant, charming balcony gardens that bring life to city landscapes all summer long. 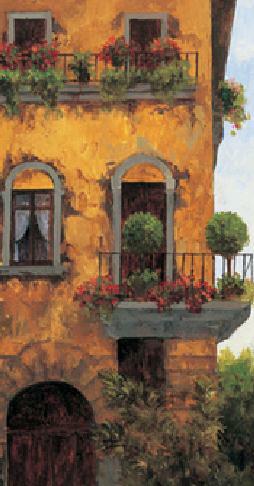 fresh herbs grown on balconies add flavor and nutrition to food. 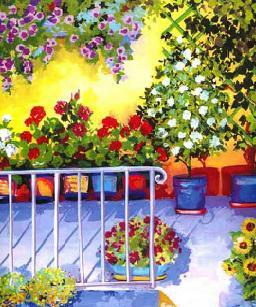 Weight and secure fixtures are the two keys to safe balcony gardens. 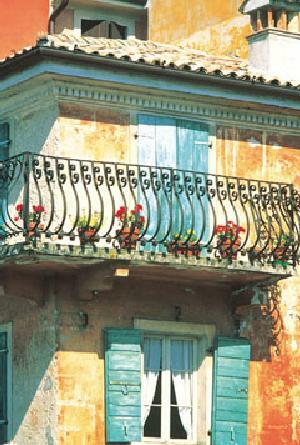 Securely attach all balcony pots and planters so there are no accidents with falling objects! Attach as much as possible to the building walls rather than to your balcony itself, reducing the weight load on the balcony. Use plastic plugs in the wall holes to keep the screws from loosening in the wind. 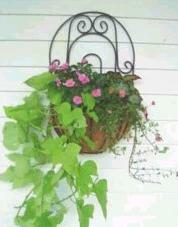 Plant up your pots and planters densely so they look great immediately. Don't be afraid of color. In your small space, use strong, vibrant, clashing colors. 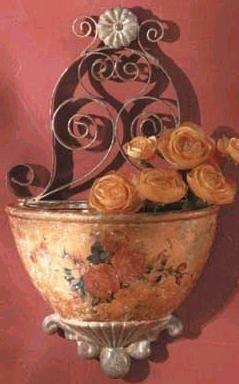 If possible, use fragrant plants that will carry their perfumes inside with the breeze. Use long-flowering annuals to get a great show all summer long. 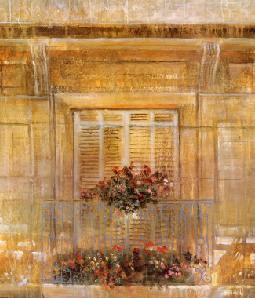 Geraniums are probably the most popular flowers on Italian balconies, and the flower many people associate with Italy! It's actually a perennial if you live in a mild climate. Fertilize your plants with a liquid fertilizer with every watering to keep them healthy and flowering as long as possible. If you live in a very hot climate water often and use special gelatin crystals that help retain moisture in the soil. Fill a wine bottle with water and stick it top down in the soil. The water is released slowly into the soil as the soil dries. This trick can keep a plant moist for several days to weeks, depending on the weather. 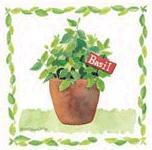 Plant out pots of herbs at the beginning of summer and you can have freshly picked herbs all summer long. Pick off the mature leaves for use. Leave the young leaves to keep growing. It's best to buy pots of herbs already sprouting. 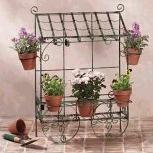 It saves time and energy and gives you herbs to use immediately. They're not very expensive, either, these days. 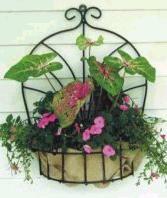 Many herbs do well in shade and in poor, sandy soil. So you don't have to be too fussy with them. Be sure to clip or pinch off the seeds when they sprout at the tips of your herbs. This will keep them growing longer. The expression 'gone to seed' means they are going dormant and seeding for next year. 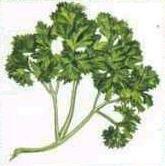 By removing the seed-heads, you prolong your herb's growth phase. They'll grow back. Either remove them again, or leave them if you want flowers. Most herbs have purple flowers. 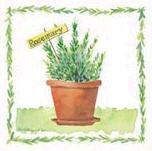 Rosemary is an evergreen but doesn't like it's roots frozen or it may die. It has pretty purple flowers at the end of summer. Rosemary is especially wonderful with potatoes and meat dishes. 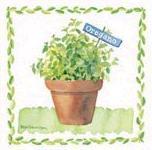 Oregano is a perennial; it grows back each year. 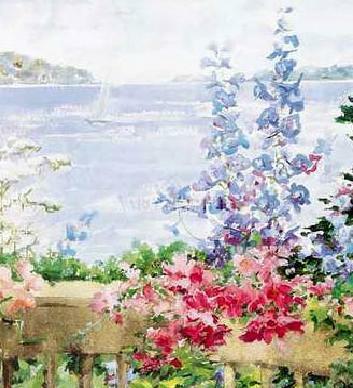 It has strongly-scented, purple flowers at the end of summer. It's great in sauces and in breads and rice dishes. 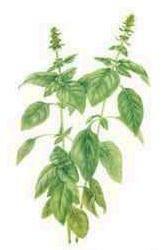 Basil is very tender and it's odor attracts snails and caterpillars, so keep an eye out for them if you live near the ground. It comes mainly in green and purple varieties. Purple is harder to grow and, I think, less attractive on the plate. Wonderful on freshly sliced tomatoes. I find that parsley doesn't grow fast enough to use as much as you'd like, so if you have access to bunches of it at your grocery store, it's best to buy it there. If you only use a bit, then try growing your own and picking it fresh. It has a stronger flavor home-grown. At the end of the growing season, usually around October, clip the herbs that are left and put them in glass bottles with vinegar and sliced cloves of garlic. Cork the bottles and within weeks, you have herbed vinegar for use on salads or for use in marinades. It doesn't go bad. The longer it sits, the stronger the flavor, and mellower the vinegar gets.